Sammy Woodhouse is a child abuse survivor and the woman who bravely waivered her anonymity to expose the biggest child abuse scandal in British History. 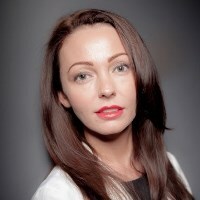 Author of ‘Just a Child’ (published April 2018) , she is a much in demand public speaker, trainer, campaigner & fundraiser who appears regularly on Loose Women and many other media outlets. The first survivor to disclose her abuse to South Yorkshire police which in turn exposed the biggest child abuse scandal in Great Britain. In February 2016, her abuser was found guilty and sentenced to 35 years in prison along with dozens more. For Sammy her life started on the day her abuser went to prison and she made a decision to use her own experience to help others. Since she started campaigning Sammy has had significant media attention, raising awareness on a worldwide scale and is now considered a national spokesperson and advocate for Child Sexual Exploitation and surrounding fields. She has received thousands of media offers, her interviews include New York & London Times, Guardian, BBC, SKY news, channel 4 & 5 news, Loose Women, GMB, Closer, Marie Claire, Grazia, New magazine and she appears regularly on Loose Women, This Morning and many leading daytime TV shows. Sammy has met privately and works with professionals around the UK to help change policies and legislation. Sammy helped change policies in regards to licensing in 2014 at Rotherham MBC and continues to do so at national level. She also met with DfE to ensure all children will learn about healthy and safe relationships in schools, which will come into effect soon. She has also had private meetings with then PM David Cameron, Victims Commissioner, Ministry of Justice and the Home Office as well as other government officials, and she secured £3.1 million to Barnardo’s as well as raising funds for other local charities.